Libra is the seventh sign of the Zodiac. Its ruling Planet is Venus. 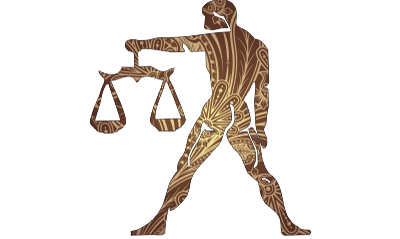 The word Libra symbolizes The Scale or The Balance. A typical Libran is artistic and refined. Librans are keen strategists, organizers of groups and get things done with great poise. Librans are among the most civilized of the twelve zodiacal characters and are often good looking. Librans are considered to be great lovers. It is observed that Librans are made for Love, but sometimes it becomes difficult for them to handle matrimonial responsibilities. Their great attachment and balance in love helps them keep ever-lasting relationships. No one can question his or her loyalty and devotion. They can make a good friend, but not necessarily an ideal one.